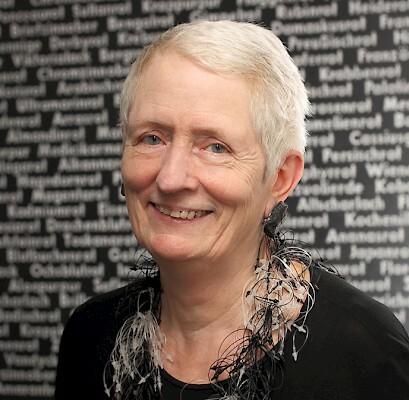 Born in the Netherlands in 1946, and educated at the Universities of Amsterdam and Utrecht, Mieke Bal is Emeritus Professor of Literary Theory at the University of Amsterdam. A prolific writer, editor, and film- and video-maker, she has pursued four or five scholarly careers. Early in her career she left an indelible mark on narrative theory, publishing crucial articles on topics including narrative embedding, mise-en-abyme, and above all focalization, the conceptual basis of which she single-handedly transformed. Intended as a friendly amendment to Genette’s foundational theory of narrative discourse, Bal’s revised account of focalization provoked a heated rebuttal from Genette himself, and the question of focalization remains open and contentious to this day. This first phase of Bal’s intellectual career culminated in the classic summa of narrative theory, Narratology: Introduction to the Theory of Narrative (in French, 1977; English translation, 1985), which she revised and expanded in 1997, 2009 and 2017. In her next phase, she ventured into the minefield of biblical criticism, equipped with the tools of narrative theory but also, more provocatively, with a set of feminist questions and critiques. The result was a quartet of controversial books about narratives of women and gender in the Hebrew Bible: Lethal Love (1987), Murder and Difference (1988), Death and Dissymmetry (1988) and Loving Yusuf (2008). Equally bold was her shift into art history and visual-arts criticism, including her monographs Reading “Rembrandt” (1991), Quoting Caravaggio (1999) and Louise Bourgeois’ Spider (2001). In recent years she has become a video artist and film-maker, exhibiting a series of documentaries on migration and collaborating with Michelle Williams Gamaker on three theory-inflected feature films, Mère Folle (2012), Madame B. (2014) and Reasonable Doubt (2016), on the life of René Descartes; all three have also been exhibited in the form of gallery installations. An energetic institution-builder, she developed the Visual and Cultural Studies PhD program at the University of Rochester and helped found the Amsterdam School for Cultural Analysis.